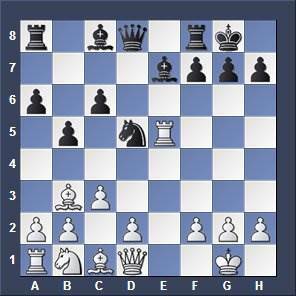 3…a6 4.Ba4 Nf6 5.0-0 Be7 6.Re1 b5 7.Bb3 0-0 8.c3 Black sacrifices a pawn with 8…d5 and gets dangerous counterplay for it. White must defend accurately or he soon will find himself in a losing position. 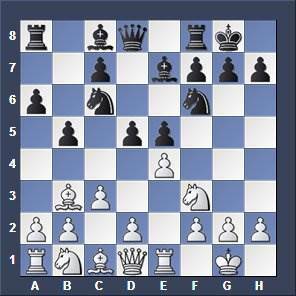 White can now win a pawn playing 9.exd Nxd 10.Nxe5 NxN 11.RxN c6 leading to the following basic position below. This variation of the Ruy Lopez is correct and sound and played by top grandmasters worldwide at high level chess events. It happens sometimes that the White player is scared to run into the Marshall Attack and avoids it.